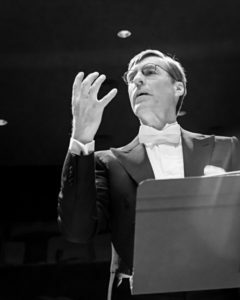 Dr. Paul French is Director of Choral/Vocal Studies at Southern Oregon University and is the Music Director of Southern Oregon Repertory Singers. In recent years to much acclaim, Dr. French and Repertory Singers have brought world-class performances to audiences in the Rogue Valley in their annual series of concerts. Highlights of the series have been beloved choral masterworks, from the baroque period to the 20th century, as well as showcasing new music from living composers. Dr. French’s practiced hands have also guided preeminent musical organizations including Rogue Valley Symphony, Rogue Opera, Jefferson Baroque Orchestra, and the Northwest Bach Festival. 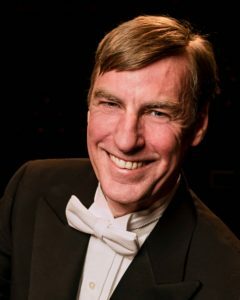 He was Chorus Master for the 2015 opening of the Britt Classical Festival with the stirringly epic “Carmina Burana,” as well as this year’s “Messiah” with Rogue Valley Symphony. Dr. French also directs the choir at Trinity Episcopal Church, Ashland, which is regarded among the top tier choirs in Oregon for liturgical music. Equipped with extensive professional experience as a singer, conductor, and educator, Dr. French has led ensembles to noteworthy acclaim at prestigious six-state conventions, such as the American Choral Directors Association Northwest Convention (1994, 2002), the American Guild of Organists Northwest Convention (1997), and the Oregon Music Educators National Conference (2002, 2007).